Recently, I sat down with Cynthia Rosi and talked to her about being a spiritual cleanser as part of the Craft Halloween special. 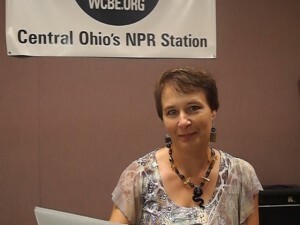 You can catch the special on midnight of October 31 or 3 pm on November 1 on the mighty WCBE, 90.5 FM, central Ohio’s NPR station. She trained as a spiritual healer and has done space clearing to seal a room with light to promote spirits moving to other realms. Her book, The Light Catcher, will be released in October. This entry was posted in Original Craft Productions and tagged Cynthia Rosi, paranormal, space clearing, spiritual healer. Bookmark the permalink.